When Do Pugs Stop Growing? Pugs thrive on human contact, and lots of it. If you're looking to bring a lovable, wrinkle-faced pug into your life, make a point to learn all of the ins and outs of the breed. Their facial folds require upkeep, and they're sensitive to a rich diet. 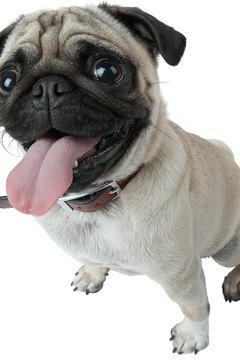 Diet can factor into a a puppy's growth rate, as can other things; but generally, pugs mature about a year after birth, like most little dogs. Mature pugs of both sexes usually are close in height and weight. They generally grow to between 10 and 11 inches at the shoulder. Although these pooches are on the small side, they have extremely dense and thick physiques, usually weighing between 14 and 18 pounds. Lithe and dainty they are not. Sexual maturity doesn't come at the same time as physical maturity in pugs, or in most canines, for that matter. Sexual maturity usually comes before these dogs stop growing, whether in weight or height. Female pugs typically go into their initial estrous cycles -- and therefore attain reproductive capabilities -- when they're 6 to 9 months old. Male pugs, on the other hand, generally gain full reproductive capabilities when they're between 6 months and a year old. It's not unusual for pug puppies to get spayed and neutered right before they become sexually mature. 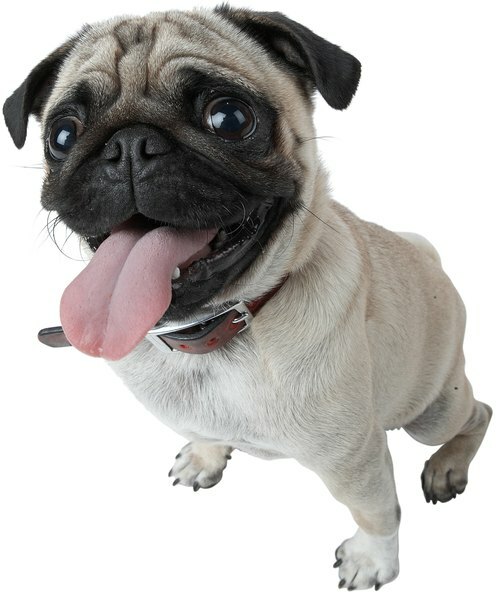 As toy canines, pugs generally get to their mature basic weights and heights when they're approximately a year old. This is similar to dogs of many other small breeds. Bigger pooches, on the other hand, usually get to physical maturity later than pugs. Medium and large dogs may mature at a year or later, particularly large dogs may not mature until they're 2 or slightly before. Pugs, as a breed, are naturally susceptible to inordinate weight gain and even obesity. Although your pug might be physically mature at roughly 12 months in age, improper dietary habits could lead to further weight gain. If you notice that your sweet pug is packing on the pounds but at the same time isn't growing in height, talk to your veterinarian about planning a controlled diet for him. Note, too, that some pugs' bodies continue to become "fuller" in build until they're around 2 years old. Your vet can tell you if that's indeed the case with your pet. Excess body weight is a severe hazard for pugs and is sometimes linked to the development of medical conditions such as diabetes mellitus. Also remember that ample daily physical fitness is a must for your pug's health -- think outdoor walks or lively fetch sessions. Are Pellets or Seeds Healthier for Amazon Parrots?